Zinc oxide ointment can relieve a variety of mild skin conditions such as diaper rash, pimples and minor burns, including sunburn. Zinc oxide acts as skin barrier to prevent and heal skin irritation. It is used in a variety of skin creams and ointments. Users generally apply a generous amount of of zinc oxide ointment to completely cover the treatment area. 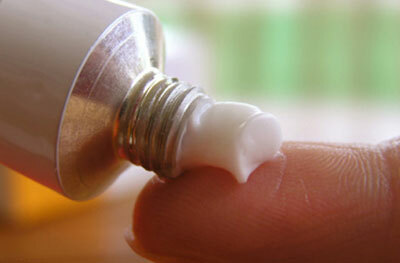 Caregivers commonly treat diaper rash with zinc oxide ointment. It is generally applied at each diaper change for optimal effectiveness. Keeping the diaper area clean and allowing the skin to dry completely before applying zinc oxide ointment may help minimize the severity of diaper rash. Zinc oxide ointment may relieve the symptoms of melasma, according to the American Academy of Dermatology. Melasma is a common skin condition that causes brownish-colored spots on the face especially on the nose, cheeks, chin upper lips and forehead. Some 90 percent of melasma cases occur in women. Its most prevalent in people with darker complexions. Minor skin irritations such as cuts, burns, scrapes and poison ivy often benefit from the anti-inflammatory properties contained in zinc oxide ointment. You can apply a thin layer of zinc oxide to the affected skin as often as needed to relieve irritation and promote healing. Zinc oxide ointment offers protection from the sun's ultraviolet rays. It is the only FDA-approved sunscreen for use on children under six months of age, according to Healthy Child.com.